Welcome to Day 1048 of our Wisdom-Trek, and thank you for joining me. Hello, my friend, I am Guthrie Chamberlain, your captain on our journey to increase Wisdom and Create a Living Legacy. Thank you for joining us today as we explore wisdom on our 2nd millennium of podcasts. 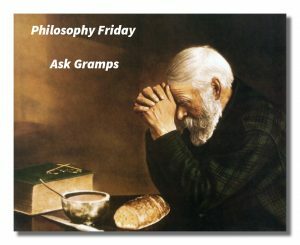 This is Day 1048 of our trek, and it is time for our Philosophy Friday series. Each Friday we will ponder some of the basic truths and mysteries of life and how they can impact us in creating our living legacy. We have concluded our deep dive into the nine types which are “The Reformer,” “The Helper,”“The Achiever,” “The Individualist,” “The Investigator,” “The Loyalist,” “The Enthusiast,” “The Challenger,” and “The Peacemaker.” Ten weeks ago, we began a series of episodes on Type Combinations, answering the question, “What are the potential relationship benefits and issues with each combination?” Covering all of the 45 different potential type combinations will take several weeks, but will be valuable in understanding each other, regardless of what type you are and what type those with whom you interact with each day are. 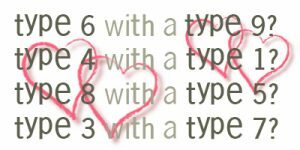 As with all double-type relationships, two Enneagram Fives generally bring the same qualities to each other. Therein lies both a main source of the attraction as well as one of the main pitfalls. 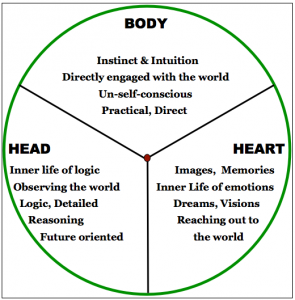 Thus, the Level of health of each person is especially important for these types of relationships as are their dominant instincts. To a Five, another Five is virtually his or her idea of the perfect companion: well informed, intellectually stimulating, independent, imaginative, quiet (unless it’s about subjects of mutual interest), fact oriented (as opposed to being utterly emotional and subjective), non-intrusive, and always ready for a good debate or a good movie. Since they do not wish to be controlled in any way or even for people to know too much about them, Fives give a great deal of personal and emotional space to each other. It may be weeks or even months before they both see the insides of each other’s homes. They value tactfulness and would never knowingly put people on the spot for personal information or make personal demands on anyone for favors. Distance, respect, courtesy, good boundaries, and few demands (and no expectations), are hallmarks of a double Five pairing. Of course, Fives can be curious about each other and their private lives, but there is a great deal of reticence to take the initiative where personal matters are at stake. Some Fives are more forward socially but their experience is somewhat like the mating of shy and prickly animals…Unless the other finds a way to hold on to the Five, the Five is soon off again. As a pair, two Fives must learn quickly how to balance the independence they require with the degree of intimacy and personal sharing and self-disclosure required to establish a meaningful relationship. In most cases, this takes a while, although once Fives have found someone with whom they feel comfortable, they can become quickly (but still secretly) attached. Long silences and breaks are punctuated by intense bursts of communication. The meeting of minds does not have to be full of words. A double Five pairing can suffer from over-intellectualizing their relationship, approaching each other analytically rather than as someone to be felt or identified with in a more emotional and subjective way. They also tend to compartmentalize their life together (just as they do their own lives), drawing boundaries around your world and my world. 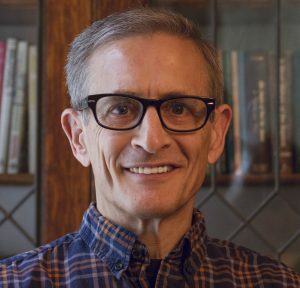 Both parties can begin to become secretive and to lead something of a double life, consciously withholding information about themselves and their activities from the other out of the fear of being engulfed by them, and from a deep-seated resistance to sharing themselves or merging with someone. Double Five pairs can also become argumentative and competitive, getting into a pattern of intellectual bickering over fine points and (ultimately trivial) details. But since intellectual prowess is so highly prized in Fives, there may be one or more areas in which competitiveness and intellectual showing off at the expense of the other begins to take place. The main problem for most double Five pairs is too much emotional distance and reticence to express oneself, which can erode intimacy. They each become too private and run the risk of becoming isolated from each other. They can deteriorate into a professional association connected by respect for the other’s competency and other positive qualities, but any emotional connection may eventually get lost—if it ever was established in the first place. A kind of dryness and indifference about the possibility of finding a satisfactory rapport comes over them, and eventually even a final cutting off of all wanting of such a thing happens. Fives can drift apart, burying themselves ever more deeply in their work or their intellectual hobbies while still living together. Eventually, both Fives live without any hope or expectation that the other could break through to them or that they would ever want to break out of their own detached shell. Couples such as this can deteriorate into eccentric recluses, cut off from themselves and from the world around them. 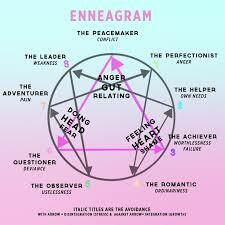 Both Enneagram Fives and Sixes are mental types, although there are significant differences between them. Both have respect for the intellectual acumen of the other and the expertise and technical mastery the other possesses. They may well begin a relationship as colleagues or by sharing the same professional area of interest which forms the basis for a friendship and eventually something more intimate. Both types respect detail, factual objectivity and accuracy, craftsmanship, and the ability to analyze situations without inserting personal opinions or biases. As a pair, Fives and Sixes can be highly effective in dealing with crises because both are attuned to danger and to bringing their expertise to solve problems. Fives also offer emotional calm, detached objectivity, observational skills, an unusual and penetrating curiosity, and an unwillingness to settle for easy answers. Sixes bring strongly held values and ideas that make them less objective than Fives although they are more passionate. Their very emotional reactivity—including anxiety and fear—gives Sixes a more sympathetic, human quality. Sixes are more openly unsure of themselves and often look to authorities of some kind (including the Fives they trust) to give them guidance and advice. Fives tend to be surer of their ability to think for themselves and to entertain new ideas. Fives also tend to be more skeptical and rejecting of authority. Fives are accepting of Sixes’ changing needs for independence with connection; they are also patient with Sixes’ vacillations. The devotion of Sixes and understated caring can break through the Fives’ tendency to isolate. Thus, Fives and Sixes, as a pair, tend to have a symbiotic intellectual relationship of doubt and decision, questions and answers, problems solved and problems discovered that can be endlessly stimulating. In any event, for a relationship between these two opposite head types to work, there must be a tested and unshakable trust between them: they may often come to different conclusions, but they at least know that their hearts and minds are in the right place. Once trust and communication breakdown, Fives can begin to see Sixes as too conservative and indecisive in their thinking and actions. Sixes get nervous about making a mistake and do not want to be criticized (much less ostracized) for their efforts. They can seem to be prejudiced and not open minded, petty and political, playing favorites and trying to please authorities rather than seeking the objective truth. To Sixes, Fives can seem excessively independent, unwilling and constitutionally unable to work within a system or group. Sixes feel that Fives are needlessly provocative and have useless, strange ideas that are impractical and a waste of time. Sixes want to build security by having something clear to believe in; Fives want to find the objective facts, whether or not it makes them feel secure. Fives do not need Sixes’ discouraging wet blanket approach. Sixes do not need Fives’ endlessly vivid imagination for darkness and catastrophe. Each can feed each other’s sense of powerlessness and hopelessness. Fives can see Sixes as closed-minded drudges and fanatics, whereas Sixes see Fives as weird, isolated, and hopelessly impractical. Without intentionality and hard work, this pair of emotional opposites might feel they were better off as colleagues than intimate partners: one wants to put out fires, the other wants to play with matches. 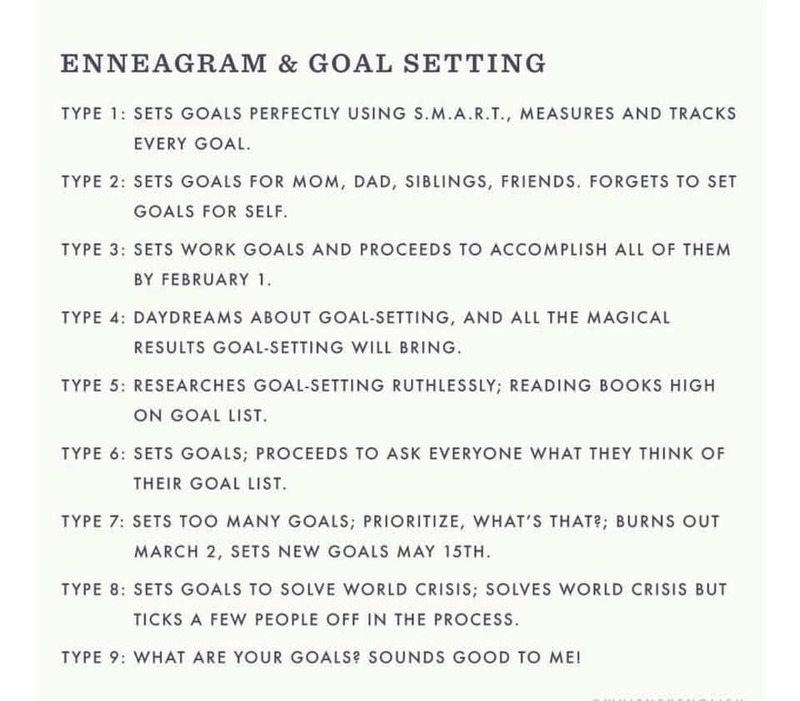 Since they are both thinking types, Enneagram Fives and Sevens both bring a lot of mental energy and appreciation for ideas to their relationship. 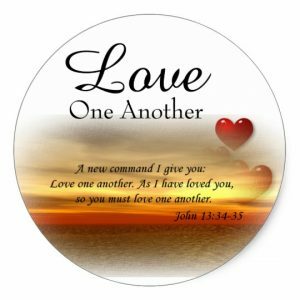 Their approach is complementary and reciprocal—each one brings something that the other does not have. On the positive side, Fives bring depth, clarity of observation, insight into the objective state of affairs, independence and self-reliance, and often a wonderfully, off-beat, whimsical sense of humor. It almost goes without saying that they have quick minds and love knowledge and intellectual pursuits. Sevens bring quickness not only of mind but of spirit—ready to do almost anything at a moment’s notice, from going to a movie to booking an around the world trip, from moving the furniture across the room to moving the home to another state. Sevens are independent, although they like to have a few people around to join in the fun and to add to the celebratory, happy feeling that they are always looking for in their lives. They tend to be generous and extravagant, optimistic, gregarious, and outgoing with strangers, often the life of the party. Fives tend to be somewhat more frugal with money and resources, seldom spending much on themselves (unlike Sevens). Fives also tend to be private and taciturn around strangers, although they can be very funny once they get to know you and feel secure. Fives ground and deepen Sevens, giving them permission to take themselves and their interests more seriously, to focus their energies, and to stay with things until they pay off. Sevens get Fives to try new experiences and to make more social contacts. They may also run interference for Fives in social settings. Both like conversation and ideas and they love to explore new realms together. In short, this is a mixture of opposites with different attitudes about how to enjoy themselves and how to be fulfilled in the world. Fives say, “Life is short: don’t expect too much.” Sevens say, “Life is short: try it all.” Both attitudes are true and can usefully balance the other. Fives tend to minimize their needs and their expectations of life, particularly whenever they are under more stress. They tend to see things in terms of scarcity and of being personally unprepared to meet the demands of the world. The result is that as pressures on them increase, Fives tend to withdraw and detach emotionally from everyone around them, and ultimately, even from themselves. They become more reclusive, isolated, disembodied minds who are difficult to break through to, much less to engage in constructive action. This pattern is very difficult on Sevens for whom quick action and having multiple escape routes is the norm. As pressures increase on them, Sevens go into hyper-drive, going more places, doing more things, talking more, getting more advice, gossiping about their relationship problems, and possibly turning to substance abuse to control their mounting anxiety and sadness. These problems only make Fives withdraw further and become frightened of someone who they see as out of control. 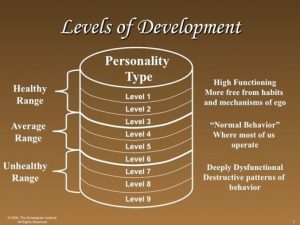 In the lower Levels, Fives can see Sevens as too escapist, superficial, intrusive, and coarse. The Seven wants the Five to be more fun so that their experience will be more positive. Sevens embarrass Fives by being too effusive and glib. On the other hand, Sevens think Fives are cold and unresponsive. Conflicts with each other’s style make both dig in their heels. Sevens become more demanding and pushy, whereas Fives become more withdrawn and uncooperative. Sevens may act out to get the Five’s attention, but they may go too far causing Fives to close the door. A lack of trust and difficulty in finding a safe common ground to work out differences makes things worse as both types tend to take extreme, well-defended positions. 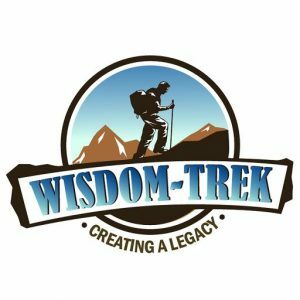 If you would like to listen to any of the past 1047 daily treks or read the associated journals, they are all available at Wisdom-Trek.com. I encourage you to subscribe to Wisdom-Trek on your favorite podcast player so each day will be downloaded to you automatically.